Our lead Tracking software MDProspects has now fully integrated with iMedicWare, making it possible for the EMR system to communicate directly with your lead management system. With 3 certified Adwords experts and excellence within this category of search marketing, Glacial achieved Google Partner status in 2014. Glacial Multimedia has done extensive work supporting practices that are taking on the SMILE procedure and want to do better at patient acquisition. We have been trained on location by ZEISS client support managers and work in conjunction with several people to ensure a set of standards that maintains the brand image. Assisting these managers is key in making better outcomes for the practices on a digital marketing level. Glacial has partnered with YEXT for managing our clients digital listings, reviews, and local pages. With YEXT, we can control business information across 100+ sites and apps. Glacial partners with MDidentity, the worlds best all-inclusive medical reputation management platform, to help our clients promote, manage, and maintain their online reviews and reputation across the worlds most popular sites and platforms. As the primary web and software partner for COA, we created an oncology survey database that over 35,000 practices use. Since 2016 Glacial Multimedia, has been a preferred partner of Healthgrades and is an authorized reseller and administrator of Premium Profiles. Together with Healthgrades, Glacial Multimedia will optimize and enhance Premium Profiles. Along with Aesthetics 360, Glacial Multimedia developed this educational digital symposium for medical practices. Michael Dobkowski, Managing Director of Search Strategy and Internet Marketing at Glacial, developed the Exploring Digital Marketing Strategies For Laser Cataract Surgery webinar in 2015. 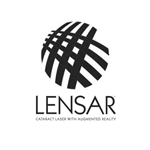 Together with Marianne Price, Onur Birsen and his software team developed the LASIK vs. Contact Lens Study Database System. Glacial Multimedia has been a preferred AMO vendor since 2005 and exhibited at over 10 AMO university events. In 2014 Michael Dobkowski was selected as a marketing panelist and course lecturer. Together with the likes of Dr. Richard Lindstrom, Stephannie Keller and Jim Plantan, Onur Birsen and the Glacial Multimedia E-commerce team developed a one of a kind e-commerce system for eye care providers so they could have their own online brand and sell directly to consumers from their website. Save time and maximize profits with MDprospects — simple, cloud-based software for revenue-focused medical practices. MDprospect’s conversion enhancing tools will boost productivity at your practice, without adding more work to your busy day. Increase patient conversion rate and manage your leads with a full task management system that includes automated email campaigns, 2-way text messaging, reminders, live chat, and more. Never worry about ROI again — with our customized performance and conversion reports, you’ll know exactly how your marketing investments are paying off. Track patient referrals, schedule appointments and manage events all in one place. Drive more sales quickly and efficiently, without sacrificing your patient relationship. 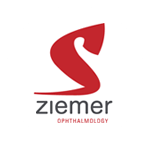 In 2014, Glacial provided avalue-addd program for new users that entailed a custom Zeimer landing page for use in search engine marketing. As part of the original Rendia user group meeting, Glacial Multimedia is a certified installer of the Rendia product that many customers use on their websites. A long-term friend of the Glacial family, OptiCall has entrusted the building of the new Refractrac call scripting software to the Glacial team. There is an expected bridge between this new software version and MDprospects. In 2014 and 2015, Michael Dobkowski was a course lecturer for the marketing track of their ASCRS users group meeting. Glacial Multimedia works closely with Sophrona My Online Portal team to place this on the website in productive areas to try and contribute to meaningful use objectives for practices. This in-office KIOSK check-in system is integrated with MDprospects so that our software knows when there is an interested LASIK patient in the office for an eye exam. By using MDprospects prompts, doctors are notified via text of this patient. In early 2015, Glacial Multimedia launched the new NIDEK USA website under the direction of Ron Kaiser and Hiro Matzusaka. This consulting group and Glacial work together helping practices. Christine Lapointe and Laura Jackson are surgical coordinator trainers to help practices convert more patients to surgery. In 2015, Glacial embarked on an outcomes database project as well as a new design for the ACES/Caribbean Eye Meeting. Michael Dobkowski provided several course lectures at ACES 2015 including, Exploring Digital Marketing Strategies. Together with Carlos Martinez, MD and Dr. Ron David, we helped raise thousands of dollars for benefit cataract surgery in Honduras and in 2011 we sent a video-journalist team to capture the week of activity. 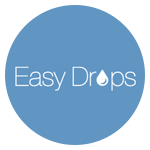 As a partner with Easy Drops, we hope to create awareness for a great APP that Dr. Milan Patel and Dr. Nesrai Desai created to help eye care patients with drop protocol. Glacial volunteers with Hawaiian Eye Foundation to contribute to their mission of promoting the preservation, restoration, and improvement of vision throughout the pacific basin and beyond through charitable service, education, and research programs.